This is yet another powerful music-video combination coming out of the brilliant minds of Scottish band Mogwai, this time with a little help from director/photographer Antony Crook. The video was shot in Hawaii and works perfectly with the slow and hypnotising sound of ‘The Lord is Out of Control’. Let the music take you to an imaginary playground and swing to the rhythm of the trapeze artists. It’s quite an experience, I promise. The new album ‘Rave Tapes’ will be out in January, so keep an eye out! If I was in Calgary this weekend…. 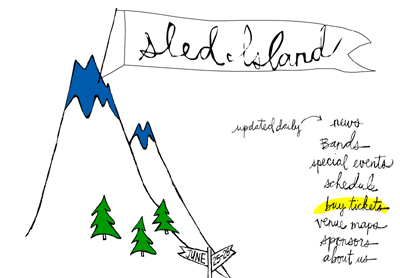 I’d be at Sled Island. Wow, check out that lineup. To name a few, Broken Social Scene, Yo La Tengo, Mogwai, Secret Machines and The Dodos will play the headlining spots/stage with a slew of other bands playing various venues are the city all week. 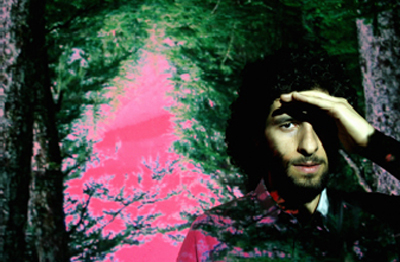 IMF fave Jose Gonzalez will also be playing the festival on Saturday. He’s doing some North American Dates to support the In Our Nature Remixes EP, which was released on Earth Day. Its a digital only EP with tracks remixed by Swedes Todd Terje, Penchenga Nord, Lanber & Skogehall and Beatfanatic (check out his version of Killing For Love). I’ve been waiting quite a while for a new release from this band… now, I sit here smiling with my copy of Welcome To The Night Sky (Labworks) by Wintersleep. A band that I’ve written about before and seen many times live, I’m convinced these guys have the potential to rise to the top of the list of great Canadian bands. Quick history run on sentence. Couple of guys start band in Halifax, gain momentum with two solid untitled/self-titled full length releases, many days on the road touring, opening shows for big names in music, and playing international music festivals. The result is anticipation and expectations for the new record; can this record and band keep getting better? From a solid two weeks with the new album, I’d say yes. Check out Archaeologists on their myspace page. **this was also the lead off track on Indie Music Filter Volume 4, get it here. 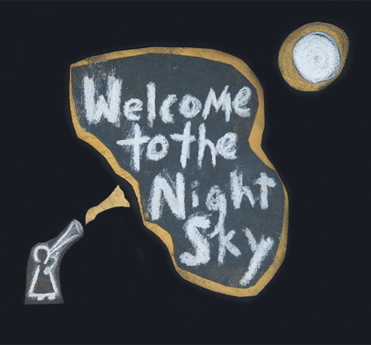 Welcome To The Night Sky shows growth as a band as songwriters. The album was recorded close to home at Halifax’s Sonic Temple by producer Tony Doogan (Belle & Sebastian, Mogwai, Super Furry Animals) and then mixed at Glasgow, Scotland’s Castle Of Doom. From previous records, I notice a difference in the way lead singer Paul Murphy’s voice sounds. Could it be a little more reverb/echo? Elsewhere in the record, Murderer is going to be the song you’ll really want to see them explode live, Oblivion might make you think they wrote it while on tour with the Hip, and Yellow Bellied will have the band defining a new genre of music called post-celtic. Look for Dead Letter, now my favorite record on the disc. But, my best guess for the song everyone will know in a month or so? Weighty Ghost. Reminds me of Paul Simon, solid track. Tons of Canadian tour dates for this band, go see them live, you’ll be impressed.